The Nigerian Communications Commission (NCC) has named Nnamdi Nwokike as it’s new Director, Public Affairs. 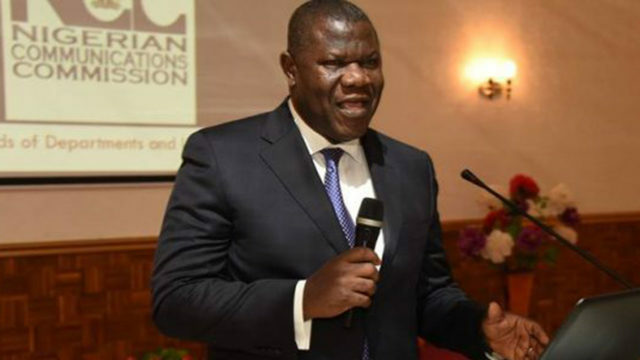 His appointment, which is in line with the NCC management’s realignment of roles and redeployment, follows the retirement of Tony Ojobo at the mandatory age of 60 years. Prior his new position, Nwokike was the Director, Corporate Strategy Planning and Risk Management of the NCC. His appointment took effect from October 8, 2018. Nwokike’s expedition in NCC began in 2001, when he became the Deputy Director and pioneer Head, Consumer Affairs Department. A department he started and renamed Consumer Affairs Bureau (CAB). At CAB, he created the Consumer Parliament, Consumer Outreach Programmes, Consumer Bill of Rights and Consumer Factsheets which have remained veritable channels for handling consumer complaints, consumer education and general dissonance in the market. In 2004 he was transferred to Business Development, a Department vested with responsibilities of developing new business vistas, negotiating business contracts and managing international collaborations with agencies such as World Bank, United States Telecommunication Training Institute (USTTI), USAID. In 2007, Nigeria through the NCC supported the candidature of Nwokike for the Executive Secretary position to head the West Africa Telecommunications Regulatory Assembly (WATRA). Having contested and won the election, Nwokike served as Executive Secretary of WATRA for two terms of three year tenure from 2007 to 2013. Nwokike, who hails from Umudioka Village, Akwa, Anambra state, born on October 1st 1960, was considered the right man for the job and indeed with his administrative dexterity and leadership sagacity, he revolutionized the activities of WATRA and brought the organization to an enviable limelight during his tenure.